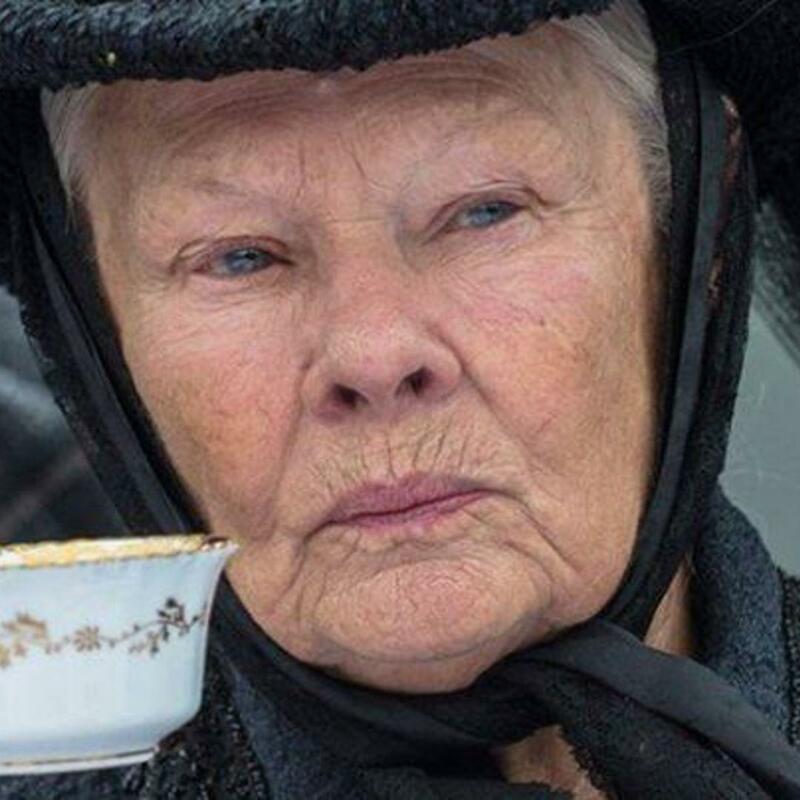 Judi Dench stares in Afternoon Tea. Take a trip back to the last day of Queen Victoria's reign, when an unexpected friendship rattled the status quo at Windsor Palace. "JOIN DAME JUDI DENCH AT WINDSOR CASTLE FOR TEA AND TREATS. Afternoon Tea invites you to venture back to the last days of Queen Victoria's reign, when an unexpected friendship rattled the status quo at Windsor Palace. The incomparable Dame Judi Dench is Queen Victoria, and Ali Fazal is Abdul Karim, the Indian Muslim clerk who forged a deep bond with the Queen. Joining them are a who's who of Britain's finest actors, including Eddie Izzard, Michael Gambon and Olivia Williams. As the Queen and Karim become friends, we invite you to luxuriate in the Alamo's signature tea and treat service. Every movie selected for Afternoon Tea is paired with a selection of teas and delectables. After all, what better way to take in a tale of the British Crown than with the most British of beverages? Kindly join us for VICTORIA & ABDUL. All the Court's bluster cannot stand in the way of a grand tea with your friends.